Replacement of missing teeth is important, and not just for cosmetic reasons. Gaps can place strain on teeth either side, which ‘lean’ into the vacant space, altering the biting together of the upper and lower teeth. This alteration can trigger off clenching and grinding, which will exacerbate the strain on these teeth. Also, food becomes packed in the gap, resulting in gum disease and decay. 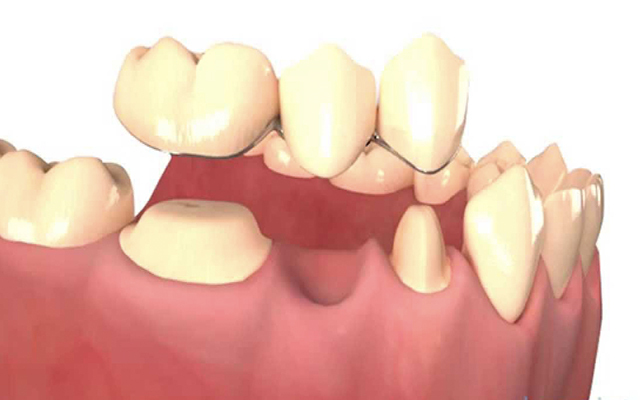 There are many different types of dental bridges and different fixing methods. Your dentist will choose the option that most effectively addresses your personal situation.